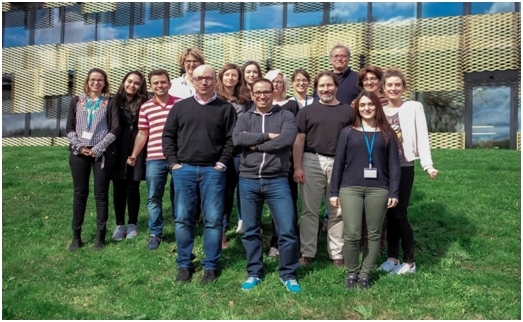 The aim of this research group is to analyze the interactions between both probiotic and commensal bacteria (with potential beneficial properties) with the host to determine the molecular mechanisms of these positive effects for human and animal health. We are mainly focused on intestinal pathologies such as inflammatory bowel disease (IBD), inflammatory bowel syndrome (IBS) colorectal cancer (CRC) and intestinal parasitosis. We study through mechanistic and global approaches in vitro (cellular models) and in vivo (murine models and clinical trials in humans and dogs) the potential effects of probiotic and commensal bacteria in order to decipher the mechanisms governing this crosstalk. We are also working on the use of recombinant lactic acid bacteria (LAB) to deliver molecules of health interest (eg. anti-oxidants, anti-inflammatories, vaccines, etc.) and in the selection and characterization of novel probiotic strains for the development of new probiotic supplements.